Two young good looking actors... now I want to be in CKH's position right now. Joo Won as one of them.... oh, Get out of my way CKH. Am I dreaming or something ? @Bati, I read your post and it was so hilarious! 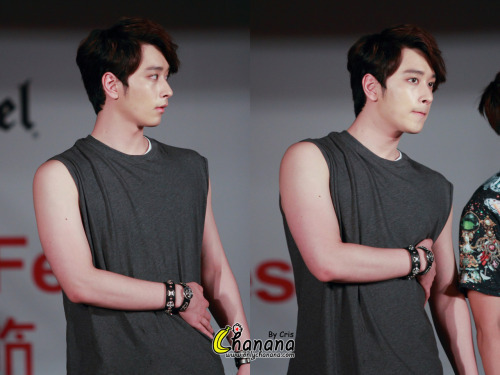 I have no idea who is Chansung, but I do think he is attractive. Looks like awesome cast to me too. Now hoping it will be awesome script and we are ready to roll. Hi all, so this news is saying that this drama will be aired on Wednesday and Thursday? 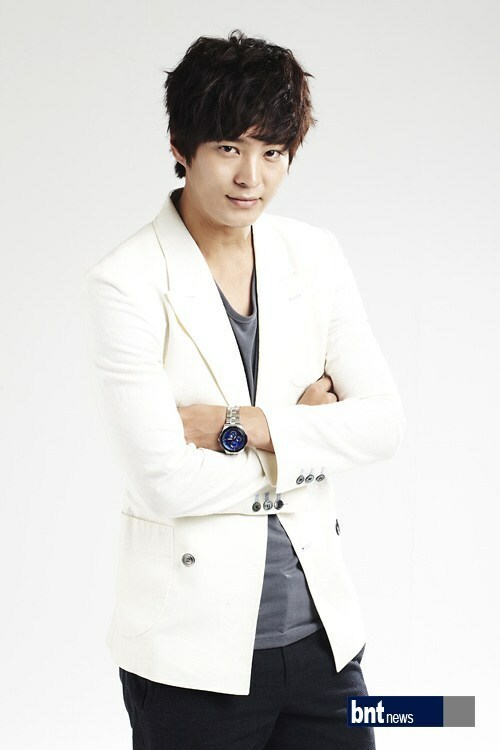 2PM Chan-Seong confirmed his starring in MBC’s new drama, ‘Secret Men and Women’. ‘Secret Men and Women’ is the drama that will draw romance, conflict and other episodes of young agents of National Intelligence Service, and it’s based on a story of the movie ‘7th Grade Civil Servant’. Chan-Seong got the role of ‘Kong Do-Ha’ whom Seo-Won(Choi Kang-Hee’s role) likes and has a gentle appearance with a sharp and understated personality while he is the ace of National Intelligence Service. ‘Kong Do-Ha’ has a handsome face and healthy body, and also has a scar on his body that gathers attention and expectations for his mysterious past. Meanwhile, Chan-Seong appeared in ‘Unstoppable High Kick’, ‘Jungle Fish’ and ‘Royal Thief’ of TBC in Japan. Is the tile is secret men and women??? is not the battle of the secret lovers or the war of the secret lovers? 2PM member Hwang Chansung has been confirmed alongside Joo Won and Choi Kang Hee for MBC TV upcoming drama 'Secret Agent War'. The production company made the announcement on October 31st stating, "Hwang Chansung will play the gentlemanly role of Gong Do Ha where Seo Won (Choi Kang Hee) shows affection towards him, and will serve as the love rival to Gil Lo (Joo Won)." Gong Do Ha is a decisive and talented man, who is not only an elite agent in the National Intelligence Service (NIS), but also the only agent who had been specially recruited. The production company added, "Gong Do Ha possesses good looks, and is really nimble. The scars on his body hints at a past that no one knows of and viewers will be able to discover whole new charms of Chansung through this drama. Meanwhile, Gong Do Ha is also exceptionally talented in taekwondo and kendo." 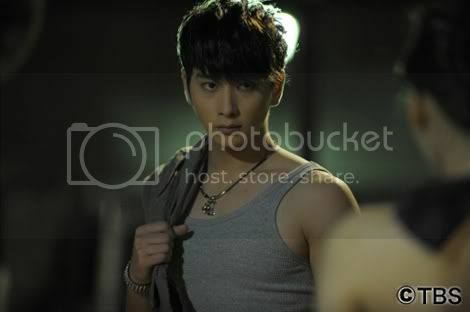 Chansung previously starred in dramas like 'Unstoppable High Kick', 'Jungle Fish', and 'Kaito Royale'. 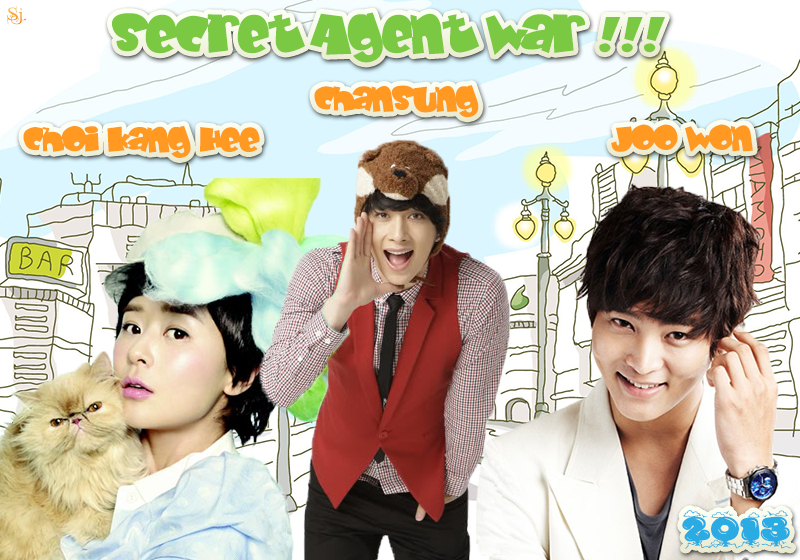 'Secret Agent War' is a drama adaptation of 2007 film 'Level 7 Civil Servant' about a secret agent couple trying to keep their secret identities under wrap from each other. Nozomi Kawashi said: Is the tile is secret men and women??? is not the battle of the secret lovers or the war of the secret lovers? lyra_brillantez said: Nozomi Kawashi said: Is the tile is secret men and women??? is not the battle of the secret lovers or the war of the secret lovers? ^so i left this thread about seconds and then parampampam.... chansung is confirmed ???? O.o .. So the italian maknae Chansung tweeted about " the secret lovers "
and he mentioned " the secret lovers "
when do you guys expect they'll start recording for the first time ? *the translation of Chan's tweets are from "2pmAlways"
Now THIS is casting I’m happy about: Kim Min-seo has just been added to MBC’s upcoming Secret Agent War, playing a spy alongside Joo-won and Choi Kang-hee. Yay! Kim Min-seo always rocks her roles, whether she’s being evil (as The Moon That Embraces the Sun’s dark moon and princess, not to be confused with moon-princess), or… uh, slightly less evil as the bitchy fashion designer in Baby-Faced Beauty. But she can do good characters as well, like her badass gisaeng Chosuni in Sungkyunkwan Scandal, or the sweet dead girl in Bad Guy. Basically, she’s way too good to be still playing supporting roles. When is she gonna get her heroine part? In Secret Agent War, Kim Min-seo will play Shin Sun-mi, a rookie agent who’d rather die than show herself to be weak, who dreams of becoming a “fierce elite woman.” Her trademark trait: zero coyness. Awesome. She grew up with brothers, and that honed her survival instinct, ha. It also toughened her into putting on a strong facade at all times, though she is devoted to those she cares about and trusts. As a newbie in the country’s intelligence ranks, that probably makes her close to Joo-won’s level, since he’s also a younger agent, with Choi Kang-hee playing the older, more experienced agent. Since Choi’s gonna fall into a romance with our hero, I’m going to expect (based on the Dramaland Rules of Conduct) that the two ladies might be up for a little rivalry. Secret Agent War premieres on MBC in January. Woohoo!